Discover our full range of VCXO products here and use our product search to find the exact voltage controlled oscillator you need. Our highlighted key VCXO products are chosen for their combination of highly competitive commercial pricing and large range of developed frequencies and specifications. For more information on our key product range you can contact our expert advisers here. Select your specific requirements to find the products you need. The 1.8V supply GVXO-331G offers voltage control with 10% linearity with voltage control of 0.9V ±0.9V. With a wide standard frequency pullability of ±80ppm (with other options available) and industrial operating temperature range of -40 to +85°C, this voltage controlled oscillator comes encased within a minature 3.2 x 2.5mm surface mount package. Designed with savings in mind: the competitively priced GVXO-331K with 2.8V supply voltage, features appealing low current consumption of only 9mA. Voltage control produces 10% linearity control from 0-2.8V, with frequency pullability of up to ±90ppm, and more options available. 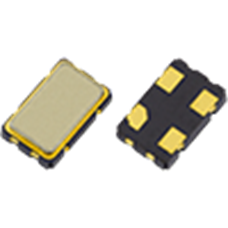 Available in frequencies from 1.50MHz through to 64.440MHz, this versatile component comes in a miniature surface mount package to help save board space. Low current consumption of 9mA maximum. Optionally available in industrial operating temperature range of -40 to +85°C, the GVXO-331L comes encased within a miniature 3.2 x 2.5mm package, perfect for saving board space. The maximum current consumption of 13mA also helps you save power budget whilst our competitive pricing can help keep your BoM costs down. Low current consumption - 13mA maximum. 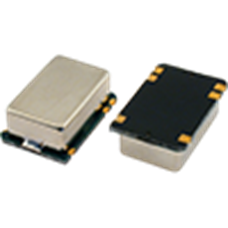 The GVXO-523 voltage controlled oscillator, with 5.0 x 3.2mm miniature suface mount package and industry-standard 4-pad configuration, features excellent low jitter characteristics and fast start up time. 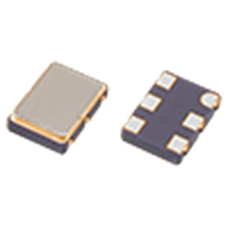 The GVXO-753 provides a highly cost effective 3.3V VCXO solution. This 4-pad voltage controlled oscillator offers a range of frequency pullability and frequency stability options and is available with industrial operating temperature range of -40 to +85°C. Providing a highly cost effective 3.3V VCXO solution for volume applications, the 6-pad GVXO-753F also features in-built enable/disable tristate functionality. The GVXO-753F also allows a choice of frequency stability and pullability options and is available with industrial operating temperature range of -40 to +85°C making it an ideal VCXO solution for a range of high volume applications. The GVXO-25 is no longer recommended for new designs, instead please consider the GVXO-41F for a more cost-effective solution for standard applications. The GVXO-25 does provide low phase noise characteristics, in addition to frequency pullability of ±200ppm. The GVXO-25 comes in a 14 pin DIL (full size) package, and has CMOS/TTL compatible output. Available over a wide range of frequencies, from 1.0MHz to 75.0MHz, the GVXO-27L voltage controlled oscillator offers superb low jitter performance and fast rise/fall time of 5ns maximum. This component also has a wide range of frequency pullability options, and is available with industrial operating temperature range. 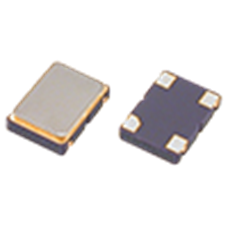 The GVXO-27S voltage controlled oscillator provides a CMOS compatible output with excellent low jitter characteristics in a surface mount package. Available over a wide range of frequencies, from 1.0 ~ 75.0MHz, the GVXO-27S also features fast enable/disable time of 100ms maximum. 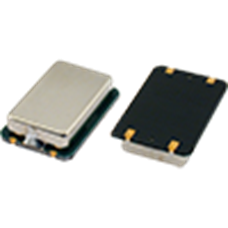 The GVXO-32L voltage controlled oscillator with 3.3V supply voltage and CMOS compatible output, comes encased within a popular telecoms surface mount package. 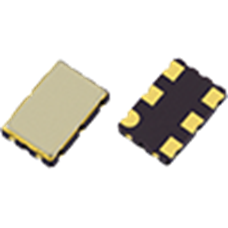 Available at high frequencies from 52.0-160MHz, this component also features wide frequency pullability, driving ability of 15pF CMOS, and custom frequency stability options are available. Available over a wide range of high frequencies, from 52.0 ~ 160MHz, the GVXO-32S offers the engineer superbly low jitter performance, whilst maintaining a fast start up time of only 10ms maximum. A range of frequency stability and frequency pullability options are available making this voltage controlled oscillator suitable for a range of applications. Fast start up - 10ms max. The GVXO-34L, with 3.3V supply voltage, offers wide frequency pullability of up to ±100ppm at very high frequencies of up to 800MHz. With complementary LV-PECL output, the GVXO-34L comes in a popular telecoms-style package, making it suitable for a wide range of industries and applications. With a wide available frequency range from 50.0 - 170MHz, the GVXO-34S provides a wide frequency pullability of ±100ppm minimum. The popular telecoms package of this component ensures its suitability for a range of applications where complementary PECL output is required. Fast rise/fall time of 10ns max. Fast start up time of 10ms max. With integral fundamental mode crystal, and available up to 80.0MHz, the GVXO-36 provides a low jitter output even at high frequencies. 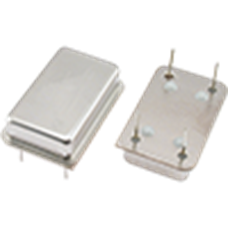 Encased within a sturdy surface mount package, this component features 15pF CMOS driving ability and high frequency CMOS output. The Golledge GVXO-37N voltage controlled oscillator is perfect for projects that require very high frequencies (up to 170MHz) with negative supply. Available over a wide frequency range of 12.0 to 170MHz, the GVXO-37N produces complementary ECL output and allows wide frequency pullability of ±100ppm, with other options available. The GVXO-37P voltage controlled oscillator features fast start up and fast rise / fall times, with inbuilt enable / disable tristate functionality. 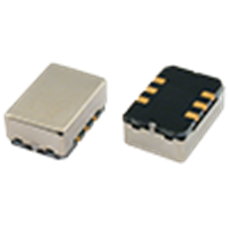 Available from 12.0~170MHz, this VCXO with positive 5.0V supply voltage is also optionally available with a range of frequency pullability and frequency stability characteristics. The GVXO-38N with negative supply voltage of -5V provides complementary ECL output at ultra high frequencies from 600 ~ 700MHz. This VCXO features voltage control with better than 10% linearity and negative slope. The GVXO-38N voltage controlled oscillator also features fast start up time of 10ms maximum, and commercial operating temperature range of -10 to +70°C. The Golledge GVXO-38P voltage controlled oscillator with +5V positive supply, uses a high reference frequency to produce UHF complementary PECL output. Available in ultra high frequencies of 600 ~ 700MHz, this VCXO also features excellent frequency stability and pullability options. If you need wide frequency pullability of up to ±200ppm at frequencies from 1.544 ~ 30.0MHz, then the GVXO-41F could be the component you need for your latest project. Requiring 5.0V supply voltage, the GVXO-41F voltage controlled oscillator is also optionally available at industrial operating temperature range. An excellent option for applicatons which require low cost, leaded components, the GVXO-41H voltage controlled oscillator features half-size, 8-pin, industry-standard DIL package. 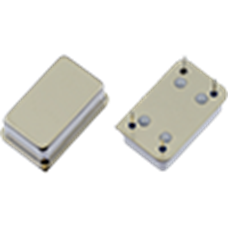 Available at low frequencies from 1.544MHz to 30.0MHz, this component also features 5.0V operating supply voltage and is available in a wide range of frequency stability options, as tight as ±15ppm, and frequency pullability options as wide as ±200ppm. The GVXO-42F features stand out frequency pullability of ±200ppm at frequencies from 33.0MHz up to 160MHz. Encased within a full-size 14-pin DIL package, the GVXO-42F is ideal for applications that require low cost, high frequency components. The GVXO-43F is available from 1.544 ~ 33.0MHz and has a wide range of frequency stability and pullability options, up to ±15ppm and ±150ppm respectively. This component requires 3.3V supply voltage and is optionally available with industrial operating temperature range of -40 to +85°C. Perfect for lower frequency, low cost applications that require a voltage controlled oscillator, the GVXO-43H is available at frequencies from 1.544 ~ 30.0MHz and offers a wide range of frequency stability and pullability options. Offering high frequency output of up to 125MHz in a DIL-14 Package, the GVXO-44F voltage controlled oscillator also features a wide range of possible frequency stability and pullability options. 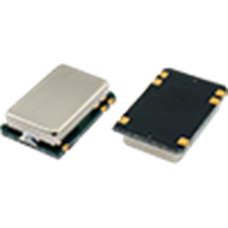 The GVXO-44F has 3.3V supply voltage requirement and has driving ability of 30pF CMOS. 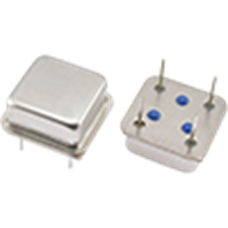 The GVXO-52, with industry-standard 6-pad surface mount package, offers wide frequency pullability of up to ±150ppm. 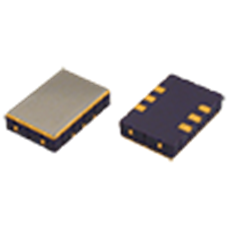 This VCXO is available over an exceptionally wide frequency range of 12.0-800MHz with complementary LVDS outputs, and has 3.3V supply voltage requirement. We are UK's leading supplier of frequency control products and are proud to serve the global electronics industry. Our philosophy is a focus firmly on your requirements by striving to meet and exceed your needs. We do this by ensuring the utmost quality and consistency in our products and services. Our regular newsletter is published every two months and contains the latest product innovations and offers.